The FMF PowerBomb is a four-stroke header that incorporates FMF’s patented PowerBomb module at a precise location in the initial stage of the header. 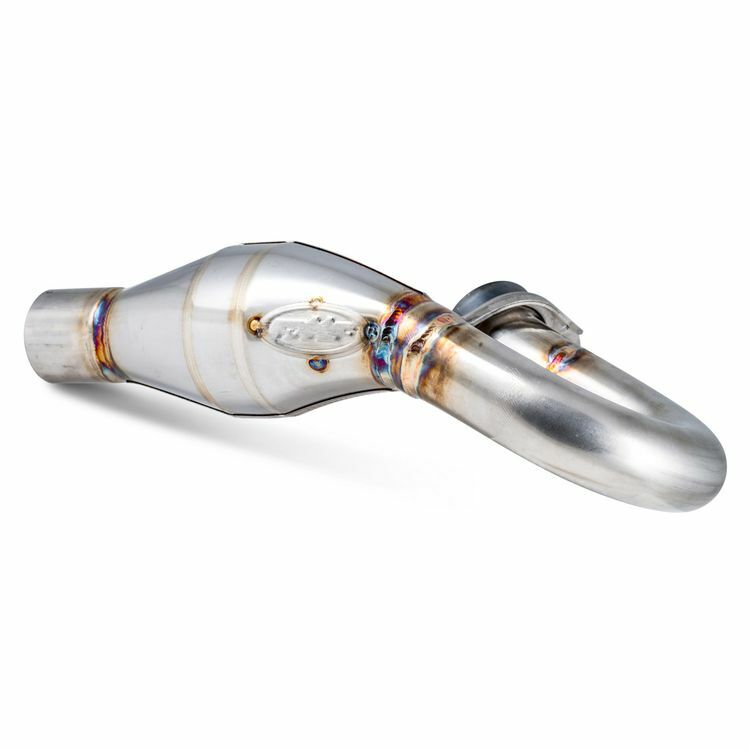 By positioning this “Bomb” at a key point in the system, increased performance and flow is achieved through the expansion and contraction of exhaust sonics. The result is a flow increase of nearly 10%. The outer chamber in the PowerBomb allows the air to expand, cool and ramp back up at a higher velocity. Additionally, the PowerBomb is a “pre-muffler” of sorts which helps to lower the bikes sound output by providing more sound absorbing surface area.